Karl Greenwood Miller was born on May 25, 1893, in Salem, Virginia, to Mary Sherman Miller and Charles Armand Miller, then assistant professor of Greek and pastor of the College Church at Roanoke College. Having graduated from the High School of Charleston, South Carolina, in 1911, Miller completed his freshman year with honors at the College of Charleston. He transferred to the University of Pennsylvania in 1912 as a member of the Class of 1915. After earning his bachelor’s degree, Miller served as an assistant instructor of psychology (1915-1917) and instructor of psychology (1917-1921) while earning his master’s (1918) and doctorate (1921) in psychology. Dr. Miller served as the University’s assistant director of admissions (1921-1926) and director of admissions (1926-1936) while simultaneously serving as assistant professor of psychology (1921-1927) and later as professor of psychology (1937-1960). In 1936 Provost Josiah H. Penniman appointed Miller to succeed Dr. Merle Odgers as dean of the recently founded (1933) College of Liberal Arts for Women. 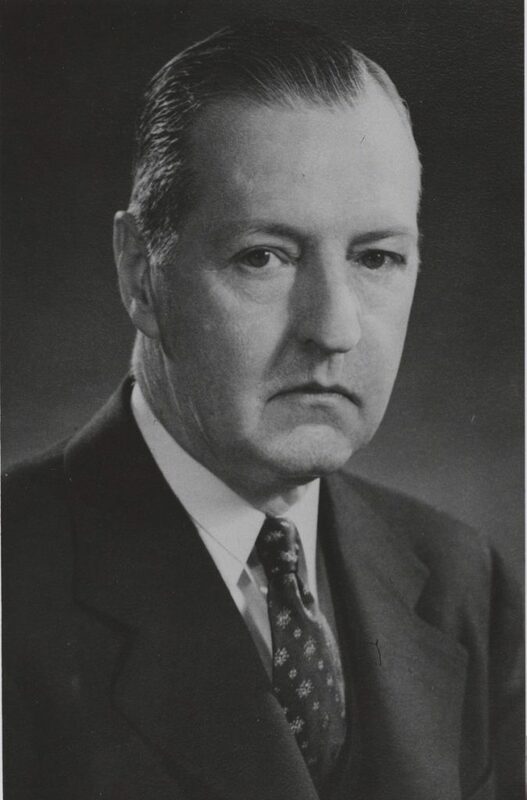 Dr. Miller served as dean of the school (1936-1960) while continuing on in his position in the faculty of the Department of Psychology until his retirement in 1960. Unlike other Ivy League universities which had established separate women’s colleges complete with their own faculties, Penn’s College of Liberal Arts for Women instead drew the faculty from the ranks of the university’s current standing faculty. In the early years of the College, the female students were taught in segregated classrooms from their male counterparts. Special sections of established classes were reserved for women. Dean Miller regularly surveyed class composition and notified departments when they did not maintain an adequate number of sections for women. Only when it was deemed essential for her major and there were not enough interested women to establish a women’s section would a women be allowed to take instruction with the men. World War II brought change to the College of Liberal Arts for Women; admissions rose from about 500 students to over 700 and the number of women majoring in fields such as chemistry, economics, mathematics, political science, psychology, and sociology grew, a trend that Dean Miller encouraged. Dr. Miller earned accolades and awards throughout his professional life. He served as the secretary of his Class of 1915 and was awarded the University General Alumni Society’s Award of Merit in 1950 for his outstanding continued service to the University. He was given the spring semester of the 1924-25 academic year to organize Penn alumni in the Rocky Mountain and West Coast areas in connection with the University Fund campaign, Penn’s first attempt at a modern fundraising campaign. He also remained dedicated to Penn athletics, and in 1958 was awarded the Varsity Club’s Award of Merit for being “Penn’s Number 1 Sports Fan.” It was reported at the time that Miller had been a season ticket holder ever since he began his undergraduate studies at Penn in 1912, missing only the year 1918, for an incredible 46 seasons. Dr. Miller also helped established the Father’s Trophy, which is awarded annually to a senior girl who shows excellence in athletics, scholarship, and service. A longtime supporter and fan of the Mask & Wig Club, Miller was made a [board?] member in 1957. Dr. Miller also held a number of prominent positions outside his roles at Penn. He spent the year 1918 serving as a second lieutenant in the Psychological Department of the U.S. Army Air Service (forerunner of the modern U.S. Air Force), served as secretary (1933-53) and later president (1954-55) of the Middle States Association of Colleges and Secondary Schools, was a member of the national selection committee for Fulbright Scholarships, and served as a chairman of the College Entrance Examination Board 1942-1945. He was a member of the American Psychological Association, the American Association of University Professors, the Franklin Inn Club of Philadelphia, and the Lenape Club of Philadelphia. He was also a trustee of the Episcopal Academy of Philadelphia, the Agnes Irwin School, and the White-Williams Foundation.